In an incredible 1-2 finish for the tiny island nation of New Caledonia, 15-year-old dark horse Clément Colmas stunned Australia’s finest to claim the runner-up spot less than a minute behind his compatriot and half a minute ahead of defending champ and Starboard team mate Matt Nottage. After a dozen or so guys stuck within shouting distance of each other along the opening 5-10kms of the 24km downwind course, the leaders began to stretch out the field as the wind increased and the bumps started running bigger. Nottage was still up in the lead alongside Titou and Clement well in the second half of the race, however the New Cal duo managed to find the right bumps to break away in the closing stages. While Titou’s victory gives him a memorable finish to a season that saw him claim the Carolina Cup title, sweep the EuroSUP championship and reach the pointy end of the world rankings, the biggest story is surely Clément’s performance. The youngster was on our radar after his strong result at the French Downwind Champs six weeks ago, however this is a true breakout performance on par with Bernd Roediger’s epic runner-up finish to Connor Baxter at this year’s Gorge Double Downwinder. Consider these numbers, which should be give the other top ocean athletes something to worry about: Clément, the son of windsurf legend and early Starboard collaborator JL Colmas, is 7 years younger than Connor Baxter, 10 years younger than Titou and almost two decades younger than Travis Grant and Danny Ching. Just outside the podium was another Starboard athlete in 2013 & 2014 champ Beau O’Brian. 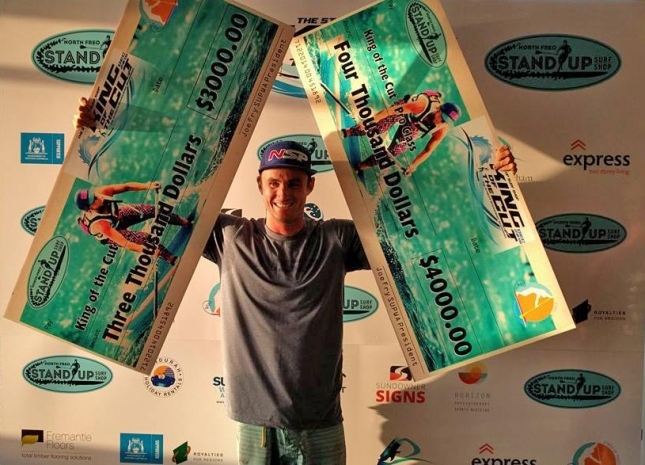 Titou’s under-rated NSP team mate from New Zealand, Marcus Hansen, crossed in 5th, while the 2016 ISA world champ Michael Booth (Starboard) was 6th. Rounding out the top 10 in this highly competitive field was James Casey (JP), Lincoln Dews (JM), Jake Jensen (Fanatic) and Will Lee. Not only did the lead change several times but so too did the virtual top 10. And that’s the great thing about downwind races: Unlike flat water grinds, where the results are far easier to predict, downwinding adds a bunch of new variables and subtleties that can have a big impact on finishing times. Sam Parker won the battle of the unlimiteds for Team NSP over Sunova’s Marcus Tardrew, however neither was able to claim the line honours bounty, with the duo crossing the line 6th and 8th respectively (though in fairness, conditions were probably too light for the bigger boards to utilise their natural advantage). 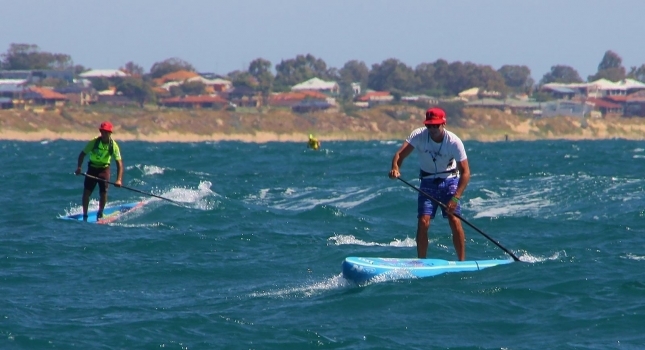 Outside the top two, New Caledonia had a third paddler in the mix who, just like Clément, could be a name to watch in the future: Noic Garioud, who finished top 15 in the 14′ division at his first international race. He’s only 14 years old. The potential showed by Titou’s compatriots led to the champ joking post-race that he’d be announcing his retirement in order to make way for the youngsters. In the women’s King of the Cut (Queen of the Cut? 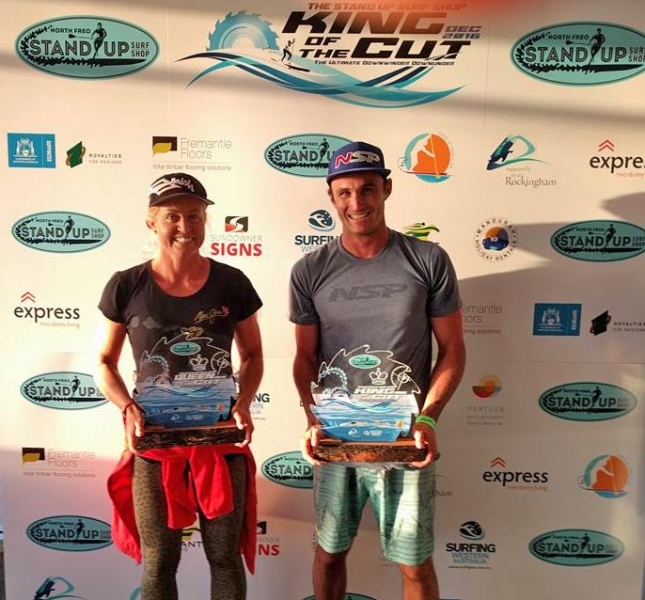 ), Karla Gilbert dashed Angie Jackson’s hopes of a third straight crown, with the Naish team rider comfortably winning the title in 1 hour 14 minutes. 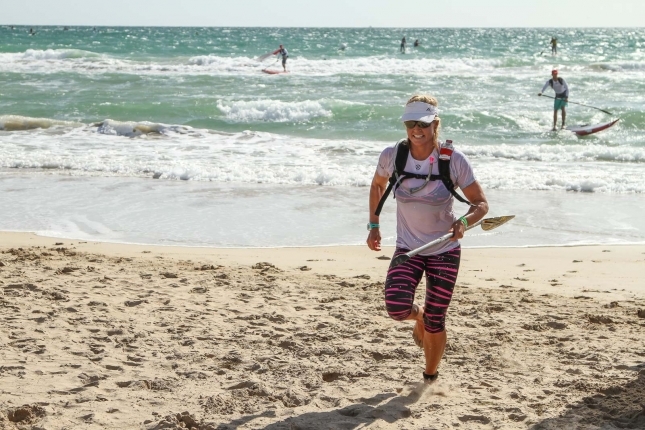 Karla has long been one of Australia’s most dominant ocean paddlers, not just in the SUP world but stretching back more than two decades to her time as Australia’s queen of lifeguard racing. Angie, the defending champ and ONE team rider, had to settle for third today, with the very impressive Marie Buchanan from Great Britain getting the jump on her in a see-sawing battle for 2nd. Just like many of the other competitors, Marie was clearly feeling at home in the bumps on her Starboard Ace. This is probably her biggest result to date and is a deserving reward for her years of ocean experience (Marie is also a competitive windsurfer). Team Oz rep Terrene Black (ECS) was 4th, while Olympic sailing gold medalist Belinda Stowell-Brett (Starboard) rounded out the top five. The women’s field at this year’s King of the Cut was quite small in relation to the men’s, however in a positive sign for the future there were more than twice as many women as last year. Although the wind wasn’t all-time it was certainly strong, blowing at 15-20 knots to whip up plenty of big bumps and give competitors a solid downwind run. Coincidentally, Titou’s winning time was almost identical to Matty’s fast run from 12 months ago (1:48:28 vs 1:48:21), so there must have been plenty of great glides on offer. It was a big day for both NSP and Starboard, with the two teams claiming the top seven spots across the line. Team NSP got the victory thanks to Titou, however Starboard had the next three finishers. 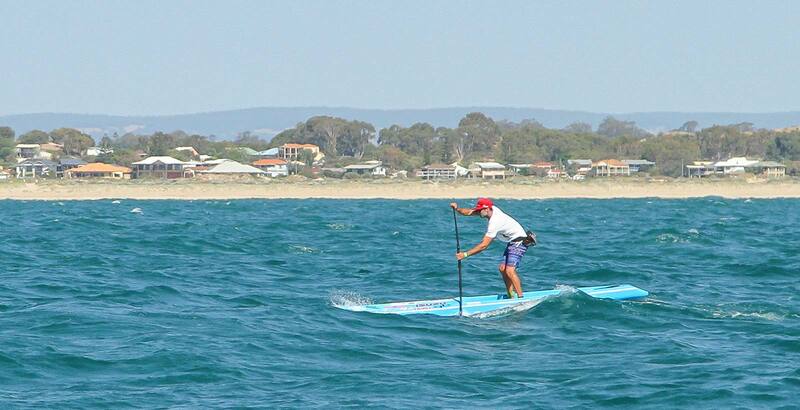 The iconic Starboard Ace and the new NSP Sonic ocean race board were clearly the boards of choice. 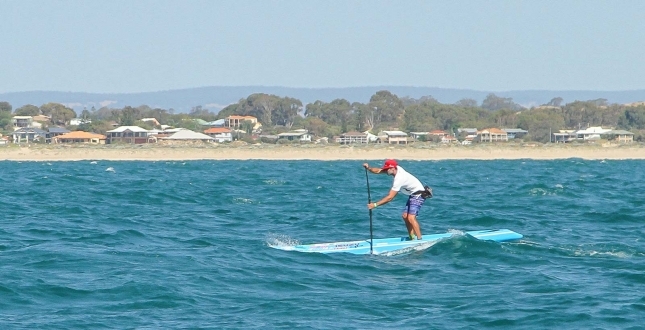 There were also “dugout” style downwind boards on show from ONE, JP Australia and Sunova, with the design trend of 14′ downwind boards in Australia now very clearly established. Team Naish got a bit of joy thanks to Karla’s victory in the women’s race; she was the only finisher inside the top 5 men or women that was riding a flat-deck board. As the headline act of West Oz Downwind Week, the King of the Cut is the most prestigious downwind race in the world outside of Hawaii and Oregon. This year’s race featured over 100 paddlers for the first time, including more than two dozen unlimited entrants in what is surely a record for an ocean race not held in Hawaii. That included half a dozen of the big blue NSP ‘Molokai’ boards that Travis Grant made famous in Hawaii, along with plenty of the classic SIC Bullet designs and the new entrant in the unlimited arena: Sunova. Scroll down for the full results and allocation of points for the SUP Racer World Rankings (which will be updated as soon as we get our hands on the results from Paris). 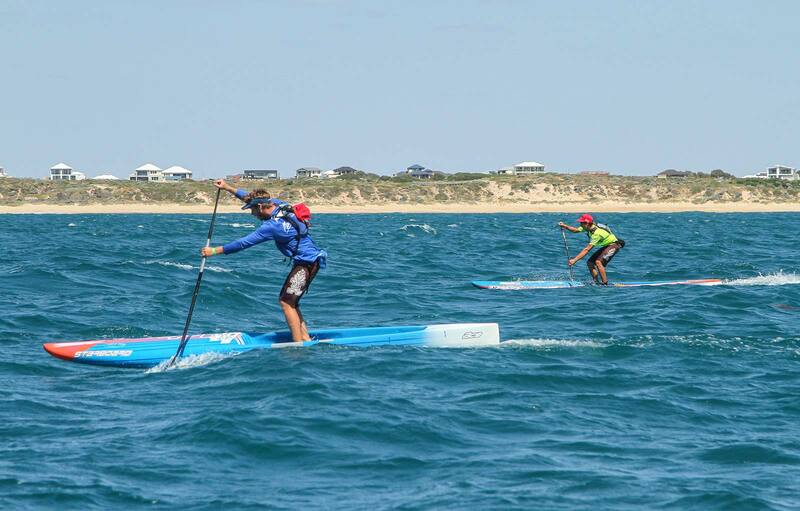 Thanks to the crew from SUPWA (Stand Up Paddle Western Australia) for pulling off another great race and continuing to grow the downwind scene in Australia. From all reports the King of the Cut is a favourite among the paddlers. If you like chasing bumps, this is a race you should pencil in on your bucket list. You can find a few more photos over on Facebook thanks to Shaw Goh.